Learning the 13 primary placements of stems for a round /mass design. What are the students creating in class?? In the Explore Floral Design class we have 3 days dedicated to Flowers to Wear and Bridal Bouquets. These images are the very first flower rings and necklaces the students created. They each have a look/theme that developed. The flower classroom brings in the latest products, design tip's and technique's to provide the students with trends in flower shop's and studio's. 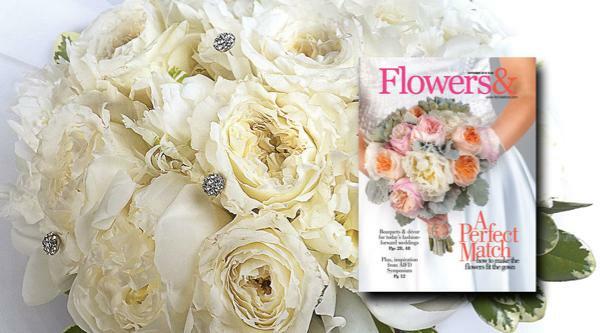 A bridal bouquet is a fashion accessory that "should accent the dress," not obscure it," says floral designer Lorraine Cooper, AIFD, in the September issue of Flowers& magazine. The article includes 12 bouquets she created to complement six popular wedding gown silhouettes - all magnificently photographed by Ron Derhacopian. Cooper goes into considerable detail about the thinking behind her beautiful designs, many of which feature David Austin Wedding Roses. 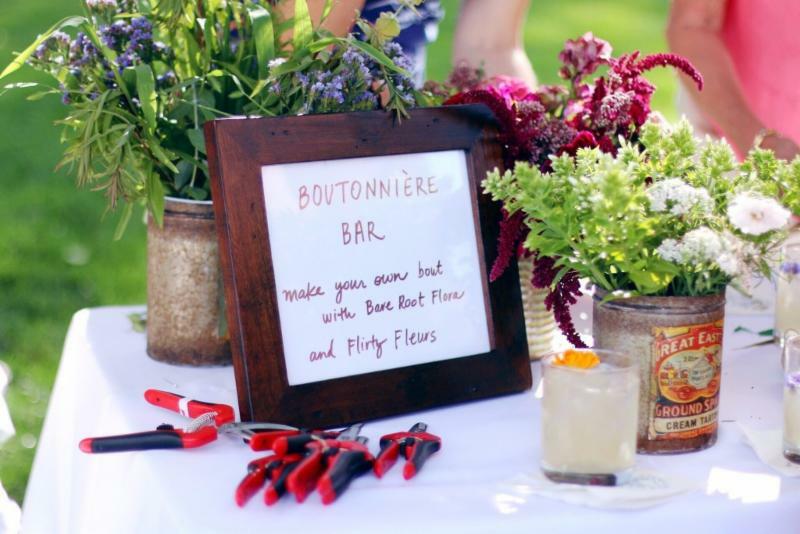 We think this informative, inspirational piece is a "must-read" for both floral designers and brides-to-be. Flowers& has graciously allowed us to share it with you. 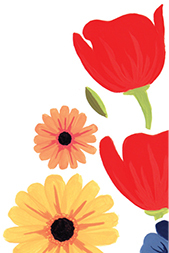 Please visit the Flowers& website to see what's in the rest of the issue and to subscribe to this excellent publication. made the Field to Vase Dinner on Saturday at the Fresh Herb Company extra special. The Field to Vase Tour's return to The Fresh Herb Company, just outside of Boulder, did not disappoint. In fact, we turned things up a notch...or five this year. Chet and Kristy Anderson were amazing hosts, welcoming over 130 people to experience a very-unique Rocky Mountain flower farm dinner. 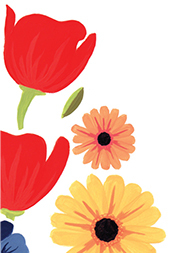 and Alicia Schwede of Flirty Fleurs. Starting with the reception, our guests were greeted with the wonderful sounds from a local bluegrass band and offered a special F2V "Fuzzy Flower." The Fuzzy Flower was a very tasty gin cocktail created by FullBelly with locally distilled gin by Spirit Hound Distillers. It was a magical start. to add a floral touch to their dinner wardrobes. Our fuzzy flower cocktail was a real hit with our dinner-goers. Quakertown Dinner will be Full of Surprises! 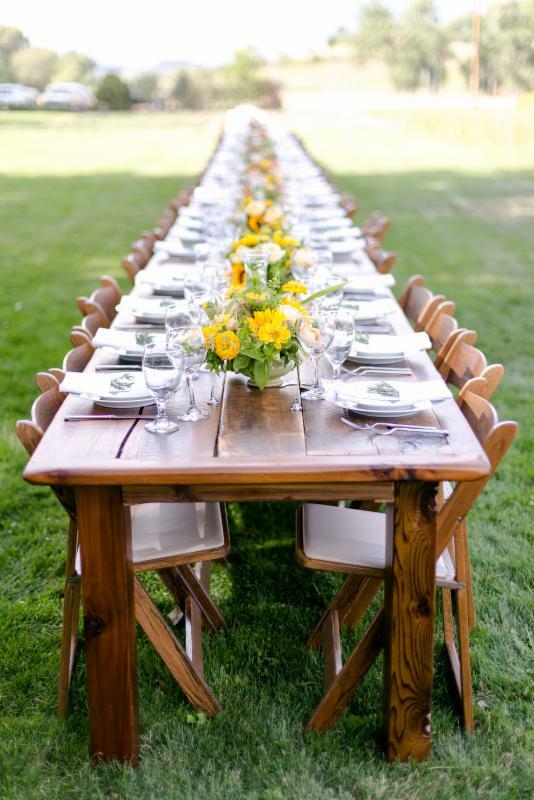 New details emerged this week about our next Field to Vase Dinner at David Beahm's Thistle Dew Farms. We had a few minutes to chat with David, and he mentioned yodelers (yes, yodelers) and Oysters XO, an innovative raw bar that serves freshly shucked oysters for exclusive events. These are just a few of the treats in store for guests. 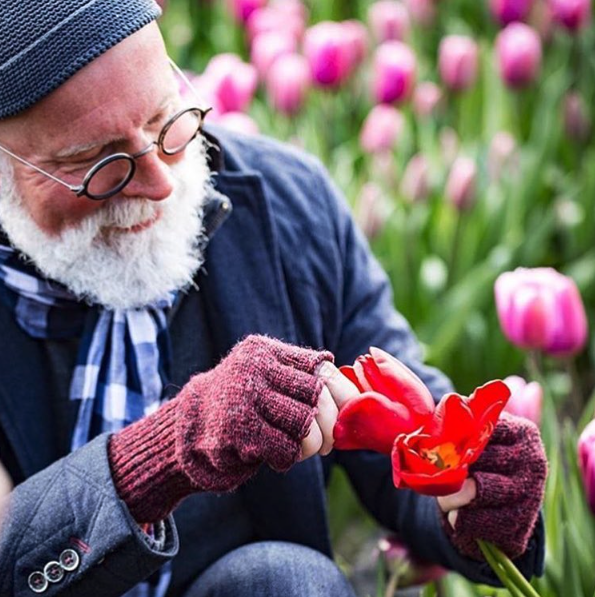 David Beahm is a world-renowned event planner who recently did the floral designs for Michelle Obama's first ladies luncheon, celebrity weddings (think Catherine Zeta Jones and Michael Douglas) and for Fortune 500 companies and luxury brands like Rolls Royce. 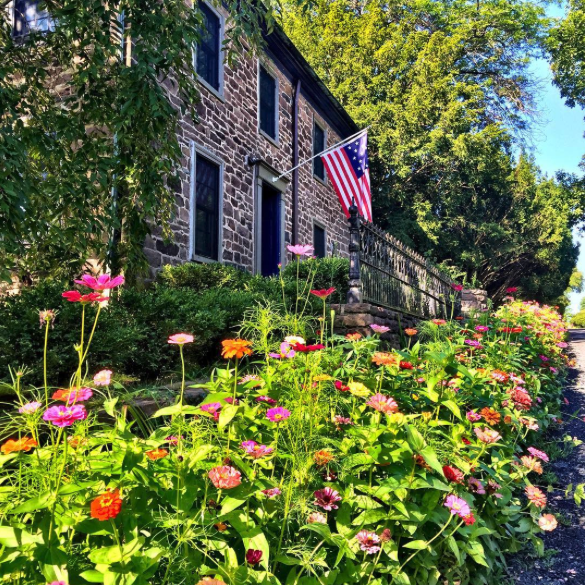 Blooming beauties outside David Beahm's German-style farmhouse dating back to 1813. You can read more about him on our American Grown blog featuring David Beahm, his company and his farm, David Beahm's Thistle Dew. 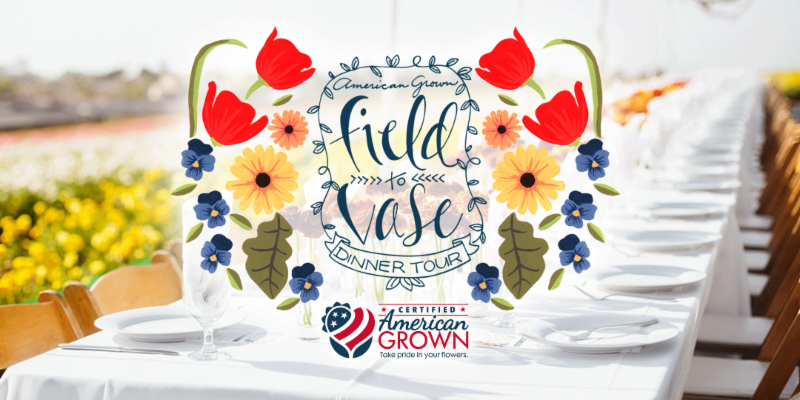 The Field to Vase Dinner Tour stops at Thistle Dew Farm in Quakertown, PA on September 14th. Many wonderful surprises are to come from this dinner, so don't wait... JOIN US! All of our dinners promise a one-of-a-kind experience. 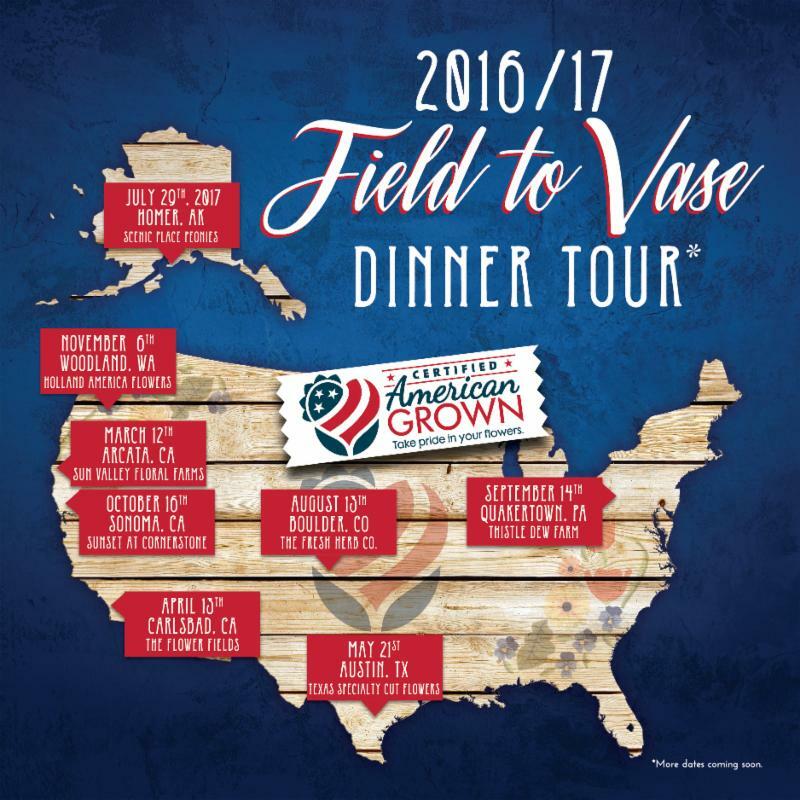 You can learn more about each of the dinners on this year's tour by clicking on the map below. 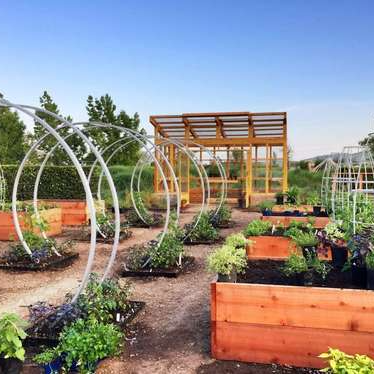 Be among the first to experience the new home of Sunset Magazine's test garden at Cornerstone Sonoma on October 16th in Sonoma, CA. 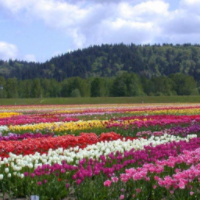 Tip toe through the tulips with the Field to Vase Dinner Tour as we stop at Holland America in Woodland, WA on November 6th. Opening up your own business is a brave venture that can lead to great success. If you’ve had an idea brewing and are ready to take the plunge, kudos to you! 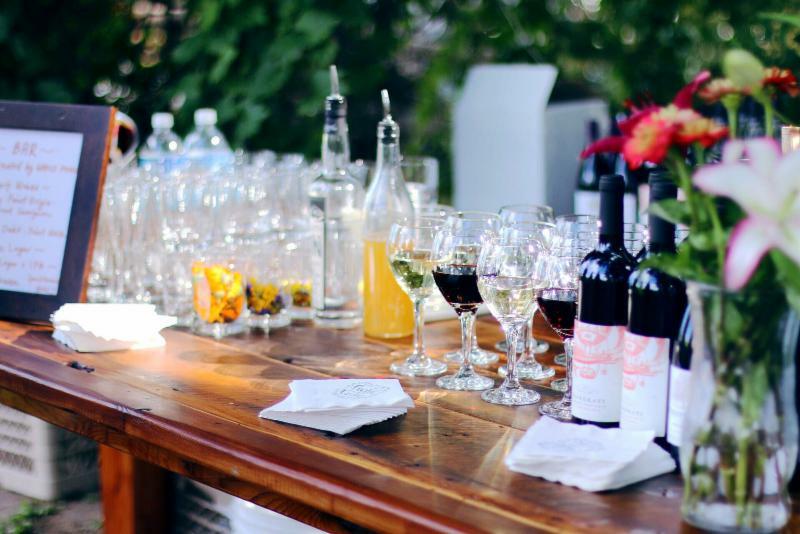 We know there can be hesitation when it comes to going out on your own and one of the biggest factors that holds people back is a limited budget. Well, we’re here to tell you that money should never be what keeps you from chasing your dreams. From creating a free website to promoting your business in a cost-effective way, we’ve got all the tricks of the trade to launching your business on a budget. If you’re really serious about getting your business out there, you need to create a website. With the Wix website builder platform it doesn’t get any easier to customize your site and begin to build your brand’s presence. Get started by choosing a website template, adding stunning images and compelling text and make your site stand out by including cool parallax effects like Fade in Scroll and Zoom In Scroll. An easy way to get your brand out there? Write about it! Start with the content on your website, like your About Us page and your homepage. Your website acts as your first sales pitch so be sure to include all of the content that’s going to make your case to your site visitors. Of course, content doesn’t only exist on your website. You’ll want to open up social channels to help connect you to your target audience, so make sure the type of content you post there is aligned with your website’s messaging and overall branding. Got a lot to say? Consider adding a blog to your website to show your visitors you’re an expert in your field who is up to date on all of the trending topics. And you guessed it, the content on your blog should have the same tone and feel as what’s on your website and social channels. Being an entrepreneur is a balancing act. With your hands in so many different places at once, we understand that you could use a little bit of help. Think a personal assistant is too costly for a new business owner like yourself? Not if it’s a tech tool. Luckily, Wix offers a few (free!) ones to help you out every step of the way. With the help of Wix Bookings, your customers can schedule appointments and classes right on your website in just a few clicks. The best part? You can accept secure payments and deposits online, freeing up time for you to focus on everything else on your plate. Another great tool to help you manage your business while you’re on the go? Wix Engage. You can easily keep track of your site activity and connect with users directly so you never miss a beat. If finance isn’t exactly your thing, let Wix Invoices help you to create and send professional invoices and manage your finances like a boss. And since the mind of an entrepreneur is usually in a million places at once, use Wix Smart Actions to help you automate the process of sending confirmation emails to your customers following a store purchase. You may think promoting your business is a challenging feat, but with a few simple tricks, you’ll be getting website traffic like a veteran. There are two easy ways you can approach online advertising; Facebook advertising and Google Adwords. Both platforms allow you to target the specific audience you want to reach, but in different ways. If you want to target a certain demographic of people, like people in their mid 30’s living in California, consider using Facebook advertising. With the help of an app like SocialBoost, you can create targeted advertisements and easily reach your designated audience. If you want to advertise to people who are searching by specific keywords related to your business like, “online jewelry shop”, then you’ll want to get started with Google Adwords. An app like SearchBoost does all the work for you by creating custom ads for search engines like Google and Bing based on your budget to help bring targeted traffic straight to your website. If you’re in the early stages of your business’s launch, a cute online contest on social media could go a long way in getting your name out there. We know you’re dreaming big when it comes to the future of your business and you should be! But in order to achieve your goals, you need to cut costs where you can when you’re first starting out. You might want to hold off on purchasing that billboard on the side of the highway or that tricked out iPhone that just came out yesterday. Go over all of your expenses and get rid of the things you don’t really need right now. Try and get in on a promotion for your internet or cell phone plan and make sure you’re getting the best deal out there. One day you’ll look back and be thankful for just how mindful you were of your money when you were starting out. That corner office in a luxury building downtown will be yours…one day. 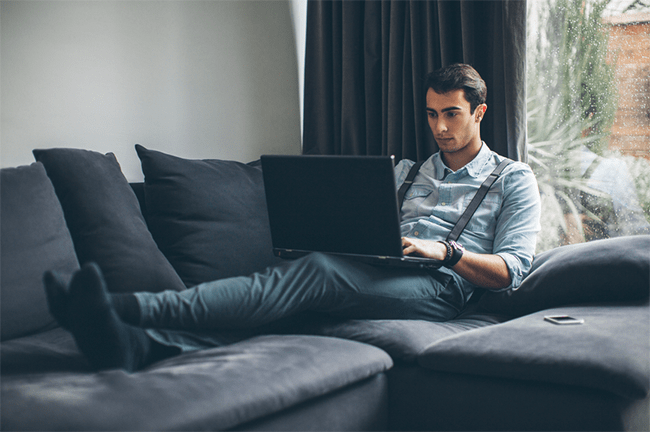 When you’re first starting out it’s best to work from home to save money. Devote a space in your house to turn into your home office. Once you’re ready to take a bigger step, look into a co-working space in town and start to network with other small businesses in your area. And we really mean everything. Get started with Google Analytics and take the time to learn what’s working and what isn’t when it comes to your website. You’ll also want to get an understanding of visitor behavior on your site and make any needed changes along the way until you get it right. Your customers are the gateway to learning how you’re doing, so be sure they have a way to communicate with you. An app like Comments will give your visitors a place to provide you with feedback to help you improve. As your business grows, you’ll learn from your own experience and you’ll optimize your product prices, business practices, etc. Another element you’ll need to optimize? Your search engine optimization (or your SEO). Not sure where to start? Have no fear, simple tools like Google’s Keyword Planner helps you find the key terms you’ll want on your website, social channels and blog so your site will get found on search engines. Want more info? The Wix Blog is full of SEO tips to make sure your site is visible. By now you know you’re not the only business doing what you do. Taking time to research competitors and optimizing your practices based on your findings can set you apart from the rest. You’ll also want to study your target audience. Learning about their needs will help you find a way to package your services effectively. For example, if you’re offering a service, consider a formula like Pro, Premium, or VIP plans. Don’t be afraid to adjust your rates according to your industry, but be sure to do so once you’ve established yourself as a trustworthy business. The secret to success is understanding your customers and in order to understand them, you need to communicate with them. Fortunately, there are easy and fun ways to connect with your customers and show that you’re accessible. First thing’s first; get on social media and link your channels to your website using an app like Smart Social Icons. This is an easy way to keep your customers up to date on what’s happening with your biz. Take a picture of your latest creation or your newest hire and share it on Facebook to give your business a personal feel. It’s also important to use email marketing to send your customers updates. Equip your website with the Get Subscribers App and start to think of what you’ll be communicating to your subscribers.With Wix ShoutOut, you can create beautiful emails in a matter of minutes and even share them on your social channels. As a boss, you need to recognize your own strengths and weaknesses and those of your team members. Delegate tasks to staff members that are proficient in a certain skill so that they will be free to take on more and use their time in the most efficient way. If you know it will take you several hours to organize legal terms and conditions, it’s more cost effective to hire a professional who can do it in a shorter amount of time, freeing you up to work on other tasks from your to-do list. The best way to get out there? Network! It’s an easy and free way to start making contact with people in your industry and establish yourself as an influencer. Sign up for local events and conferences in your industry and join online communities to meet others like yourself. Ready to dive into the world of entrepreneurship? Create a free website with Wix today!